On Wednesday, a story floating the possibility of a Hillary Clinton run for mayor of New York bubbled up out of the paranoid right-wing stew that is Newsmax.com, citing anonymous sources speculating that “She’s talking about it.” She is almost certainly not, but that hasn’t stopped the New York Times from running not one but two stories in as many days floating the same possibility. 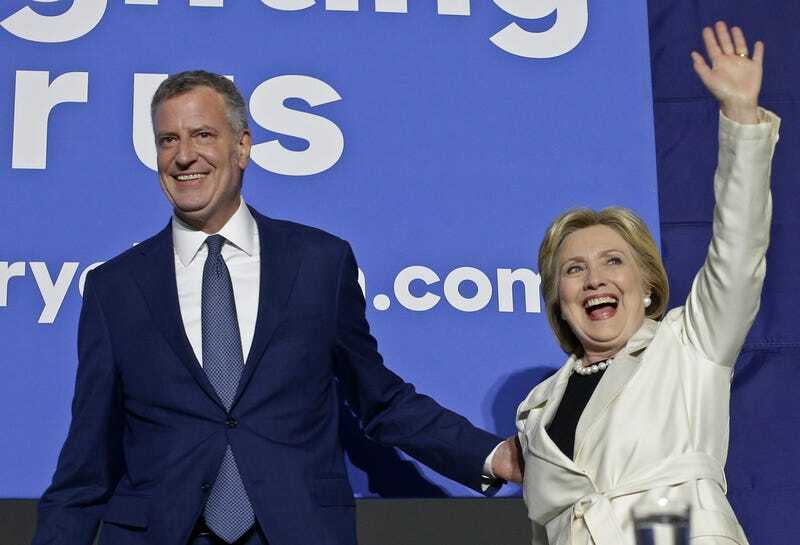 Hillary Clinton as New York City mayor? Here, Bruni is describing the kind of petty, contemptible abuses of power that people fear politicians indulge in on a daily basis—and believe the Clintons are particularly prone to. Whether they are or aren’t is beside the point; what matters is that Bruni has told on himself, and the liberal imagination, in such an explicit way—that corruption and abuse would be okay so long as the right people are doing it. If any mayor in any city were to manipulate the housing of inmates or undocumented immigrants, arrested and awaiting potential deportation (a nightmarish circumstance), to punish a political opponent, that mayor would be immediately subject to recall. Or maybe not, if it were up to ghouls like Frank Bruni.